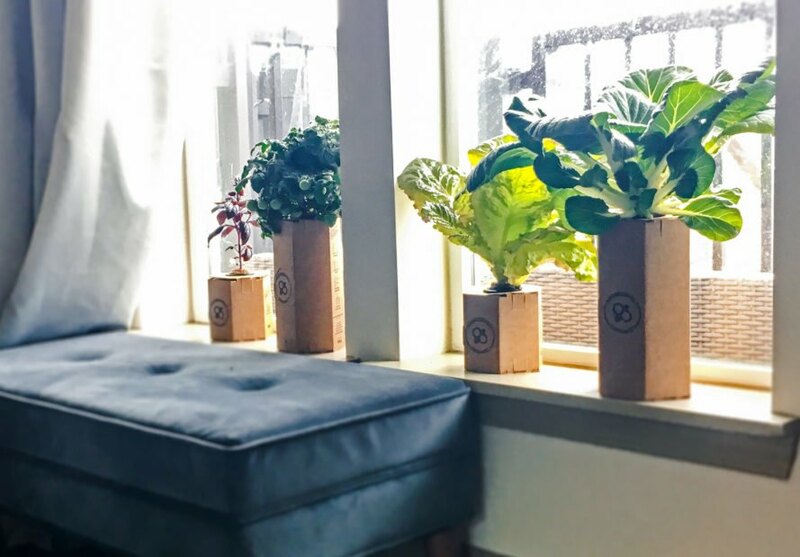 Do you live in a tiny apartment and want to grow your own food? Aggressively Organic has an answer. The Indiana-based company offers Micro Growth Chamber Systems that can grow more lettuce in a 10-by-10-foot room than an organic farm can grow on a half-acre. The systems use less water, too — a typical Aggressively Organic plant only requires watering once every few weeks. To feed the nearly 10 billion people that could be living on planet Earth by 2050, the Food and Agriculture Organization estimates food production globally will have to increase by 50 percent. The organization also said world hunger seems to be on the rise. 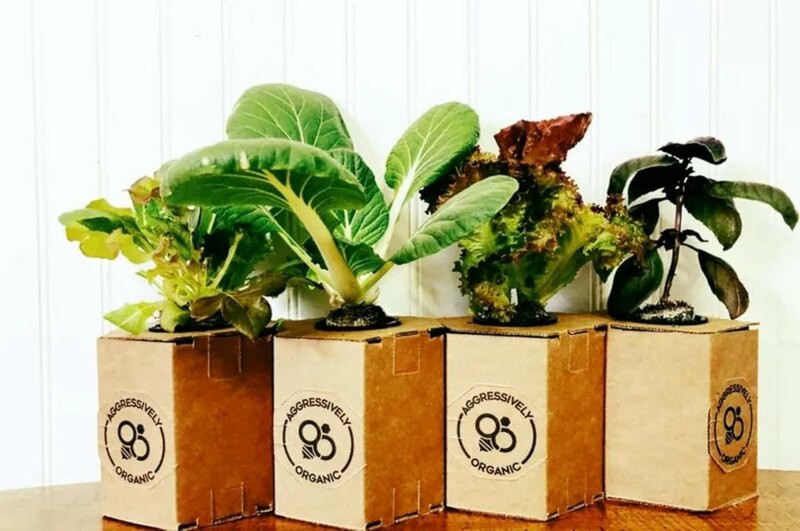 Aggressively Organic seeks to tackle food insecurity one micro-garden at a time by giving people the tools they need to grow their own food – whether that’s in an office, dorm room or small studio apartment. Their growth systems are even suitable for people who lack gardening experience. Aggressively Organic’s systems employ hydroponics in a simple form without filters or pumps. Their product consists of a foldable cardboard chamber, a liner, a coconut coir disc in which seeds are planted, reusable net cups to hold the plant, and a nutrient solution. There’s no electricity required, although growers can place their indoor gardens under a desk lamp if they can’t keep them in a windowsill. The system is extremely water efficient – it takes 25 gallons of water to grow a head of lettuce in the ground, but Aggressively Organic can produce the same amount of lettuce with 16 ounces of H2O. Aggressively Organic is currently manufacturing their systems and plan to begin a “Beta 2” round of orders this month. The company will offer different options of its Micro Growth Chamber Systems: a nine pack, which includes nine systems, 108 refills of seeds of your choosing and a grow light for $119; a six pack, with 72 refills and a grow light for $92; or a three pack, with 36 refills and a grow light for $74. Learn more on the Aggressively Organic website. Indiana-based company Aggressively Organic is on a mission to end food insecurity. Aggressively Organic is creating Micro Growth Chamber Systems so people can grow food in their own homes. Their growth systems are even suitable for people who lack gardening experience. The system requires no electricity, unless you prefer to use a lamp for light. 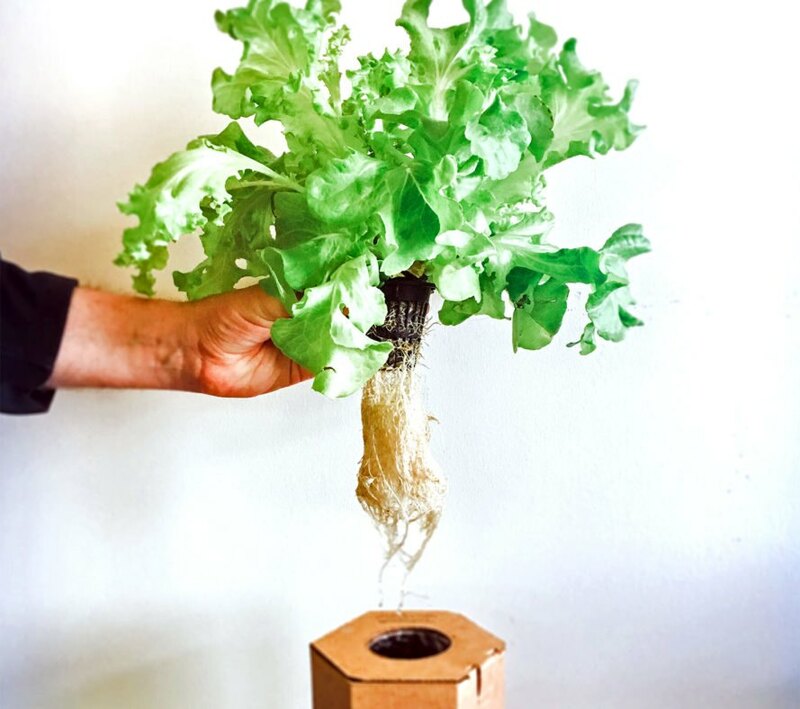 Their soil-less, hydroponic systems require little water compared to traditional farms.